What if our bodies didn't keep deteriorating - a process we know as aging - as we got older? That's how some animals do it. A 2014 study comparing the mortality rates of 46 species found that some organisms had a constant mortality rate - meaning they are equally likely to die at any one point in time. 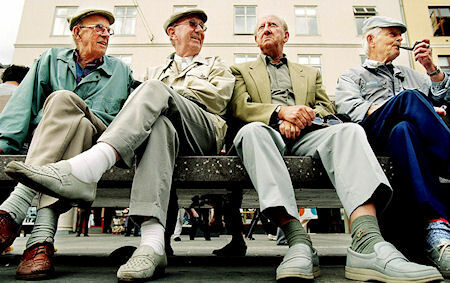 Other organisms enter a period of aging in which they are most at risk of death, but those who emerge from it continue on with their lives until the end of their life expectancy.This is a far cry from the experience of people in affluent countries, who get increasingly likely to die as they age.